ARCHOS FAQ - How can i be warned in case of noise level modification ? 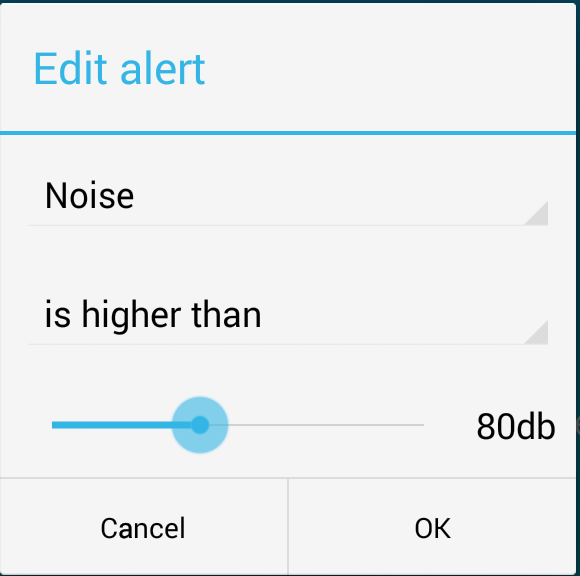 How can i be warned in case of noise level modification ? Select the desired settings and press OK. 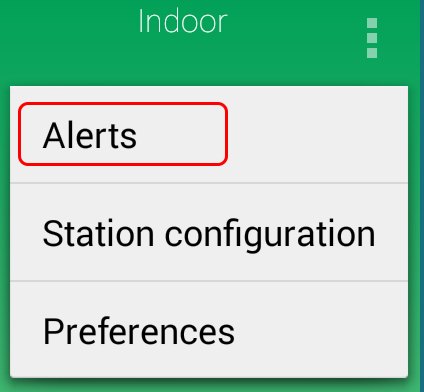 The created alerts are displayed in the Alerts tab. Use the button to refresh the incoming alerts. Why my alerts are not displayed ? How can i be warned in case of temperature change ? How can i be warned in case of air quality change ? How can i be warned in case of soil temperature modification ? How can i be warned in case of air pressure modification ? How can i delete the received notifications ? What can I do in case of WiFi connection problem ? Why is there any interractions between the modules and the Weather station application ? How to restore the Weather Station to its default settings ?